Do you love winter and its crisp fresh air? Enjoy discovering the freshly snow covered great outdoors while sipping on some hot cocoa? Then make your way to Ontario’s Southwest and experience some of our favourite winter fun activities. With skiing and snowboarding for all experience levels from beginner to black diamond, Boler Mountain is the place to hit the slopes in Ontario’s Southwest. But, if you’re just starting out and want some expert instruction, Boler Mountain also offers snow school for a variety of age groups for skiing and snowboarding as well as private lessons. Expert snowboarders can try out the awesome bag jump. Plus, the on-site tech shop caters to all your equipment needs. For even more fun, hit the tube park with its three 10 story high tubing runs where you can reach speeds up to 70 km/hr! Bring a new twist to your love of the great outdoors with winter camping in one of Pinery Provincial Park’s yurts. The yurts are heated and furnished tent-like structures that offer the comforts and warmth of home while letting you immerse yourself in nature. Each yurt is on a large platform that you can use as a deck and includes bunks for up to six people and come with electric lighting, table & chairs, a heater, and a gas barbecue. Remember to bring your cross country skis or snowshoes, there are plenty of picturesque trails to explore. With so many trails and so much natural beauty across Southwestern Ontario, it’s no wonder cross country skiing and snowshoeing continue to increase in popularity among nearly all age groups. Not only do both offer great exercise, they are easy to learn, make for excellent group & family activities, and in the case of snowshoeing, require minimal equipment. There are way too many great places in our region you can experience cross country skiing and snowshoeing at its best to list here, so be sure to visit our friends at Ontario Trails for one of the most comprehensive lists available and an interactive map. An outdoor skating rink is one of those activities that makes winter so great, some of us even learned to skate solely on outdoor and backyard rinks. Simply grab a pair of skates and some warm clothing, maybe a helmet for safety, and you’re ready to go. Some of our favourite public outdoor skating rinks in Ontario’s Southwest include the Covent Garden Market & Victoria Park skating rinks in London, and the Charles Clark Square rink in Windsor. Don’t forget to bring the hot chocolate! Who doesn’t love tobogganing? 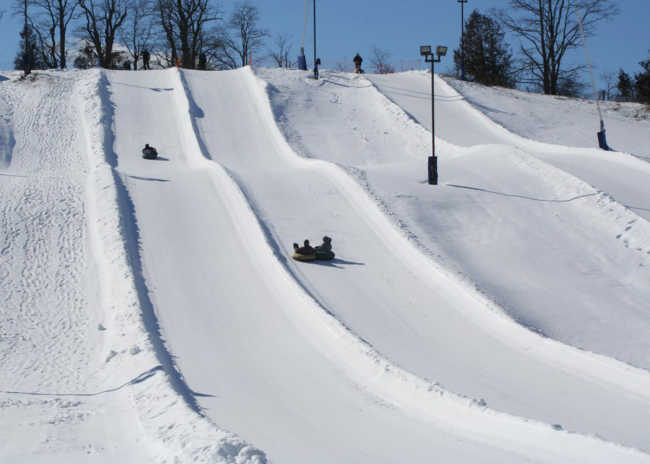 Whether you have young children, or are yourself still young at heart, going down a hill on toboggan is always one of the highlights of winter in Canada. I think it’s safe to say, nearly all of us have a favourite tobogganing story or memory. Best of all, you can toboggan almost anywhere with a hill. 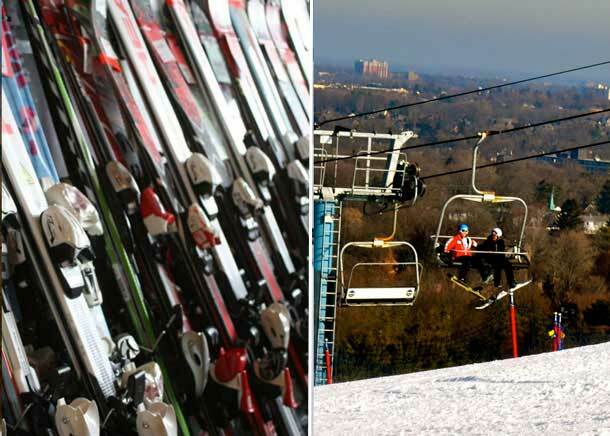 But, if you’re looking to seek out some of the most popular hills, check out TobogganHills.com. You can find some the favourite hills in the region as voted by those that use them and also submit your favourite for inclusion on the site.